Stay nice and cozy this winter. We all want a winter jacket that will keep us dry and warm on those crazy weather days. But ideally, we'd love those warm winter coats to be pretty cute as well. So, can we have a coat that's really warm and also really cute? Absolutely! And we'd also like one that will protect us from wind, the freezing cold, rain, snow and ice. From lighter weight insulated jackets to those that are long and wool or puffy or have lots of layers, to even fur and shearling, these are the best winter coats for women. The importance is comfort and livability, but also extreme cuteness — and we have found plenty! We're obsessed with this coat made of soft vegan suede in a gorgeous mauve pink color. It's the perfect jacket for layering this winter, and the color adds a punch of brightness to even the dreariest of days. 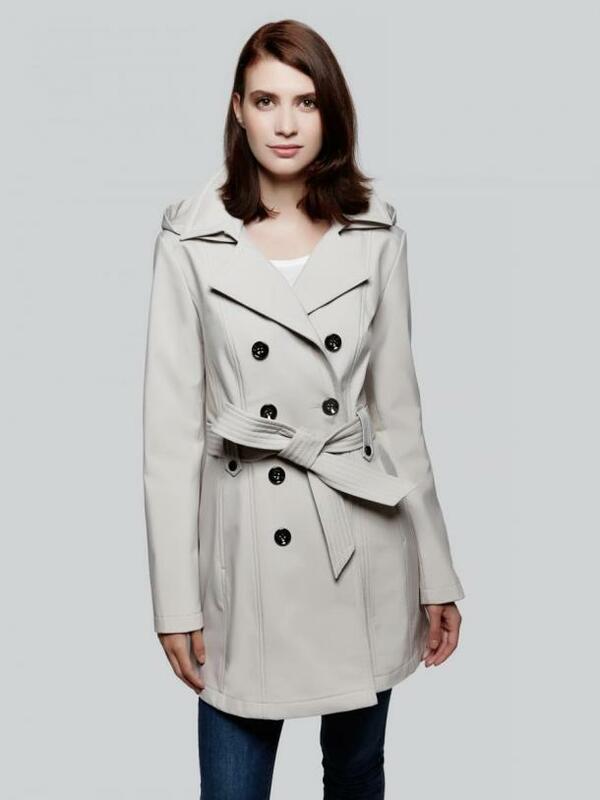 This is a coat with a strong style, and it is thin yet resistant. It will absorb humidity and dry rapidly. We love how versatile it is, and while it feels lightweight, it'll keep you warm in all sorts of weather. This line is specifically designed for women 5’8” and taller, and tailored properly and proportionally so that it won't be super short and make your legs feeze on a cold day. That means longer sleeves to fit longer arms, but the tapered waist also falls in the proper spot on a longer torso, and the length is cut perfectly for a taller woman. We are obsessed with this winter coat insulated with 600 Powerfill, 100 percent responsible gray goose down, and an ultra-long fit jacket. You'll keep warm and protected but still look super cute and ready for wherever the night takes you. This jacket features heat retention technology in the lining, which is just a fancy way of saying it'll keep you extra warm. Even cooler, it packs into a travel pillow bag. 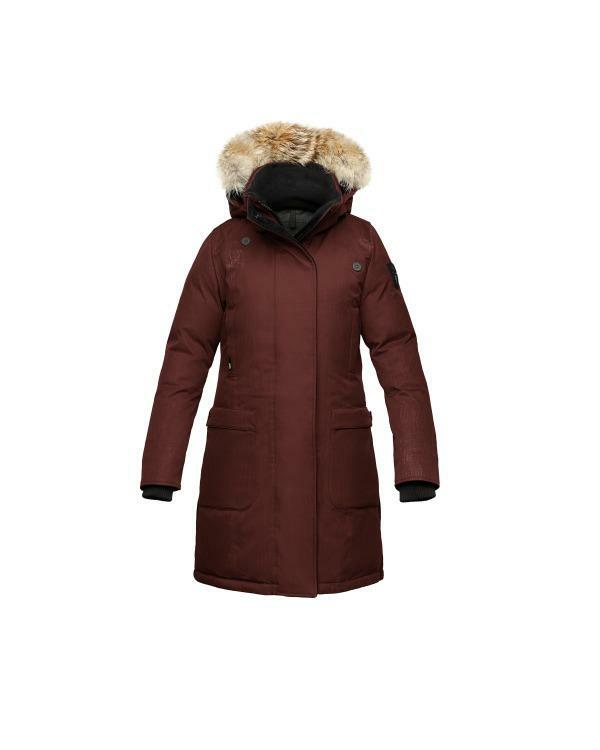 This jacket also features a removeable zip-off hood, storm cuff, and covered snap placket along with the perfect winter length to keep your body toasty warm. The Merideth offers the ultimate blend of comfort and style and comes in a variety of stylish colors. The Merideth integrates all the technology refinements that are necessary to last through cold winters. 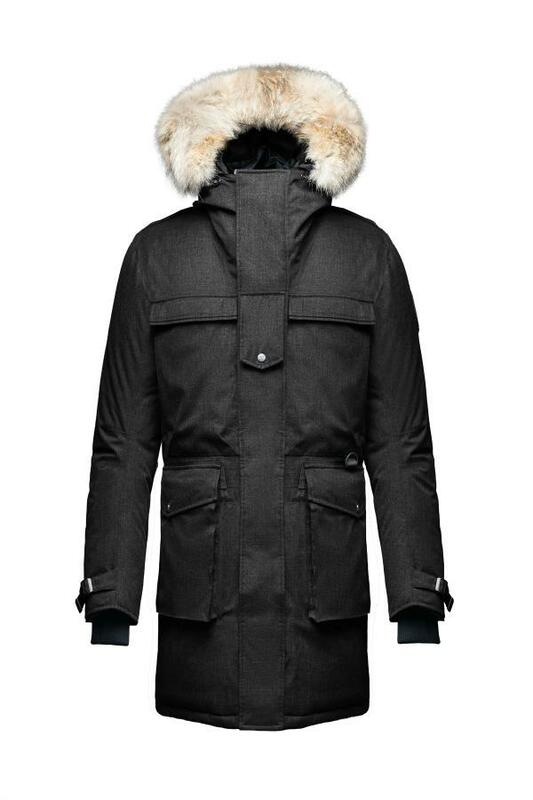 The Phoenix is the ultimate parka to withstand the most extreme winter weather conditions. The Phoenix integrates the most advanced nobis technology features to keep you warm and comfortable, even when it’s far below zero degrees. 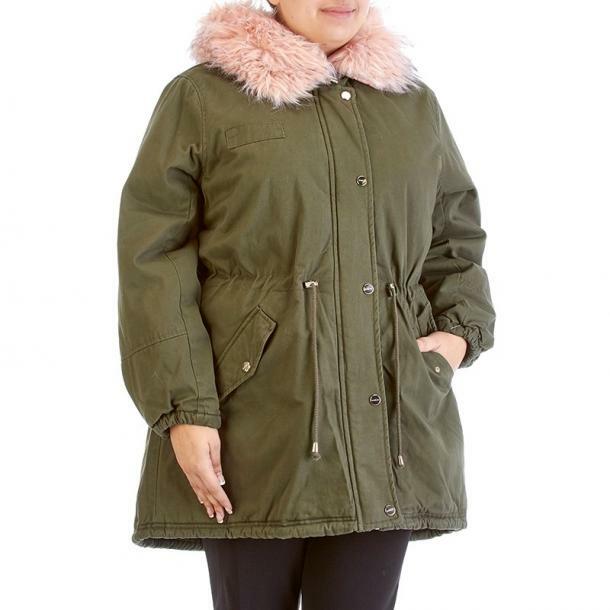 Stay warm but also stay in style in this plus size anorak parka with faux fur trim hood. The drawstring waist with metal accents adds a figure flattering feature and the material is soft and warm. The hood also has a toasty warm fuzzy lining for a stylish finishing touch. Not everyone wants a large oversized jacket that they have to lug around upon heading indoors when the weather is cold outside. This jacket gives ladies a stylish edge while keeping them warm in cool fall or winter weather. 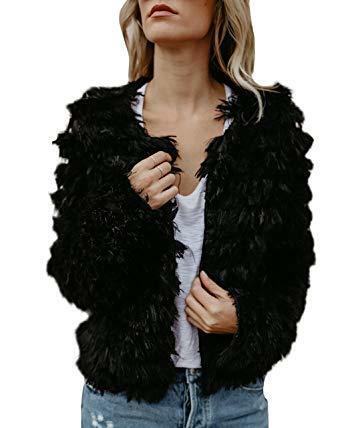 Typically, robes are more for spa nights, but this fur coat and robe combo is kind of genius in that it's cute and warm, and will also be super relaxing and comfortable to wear. 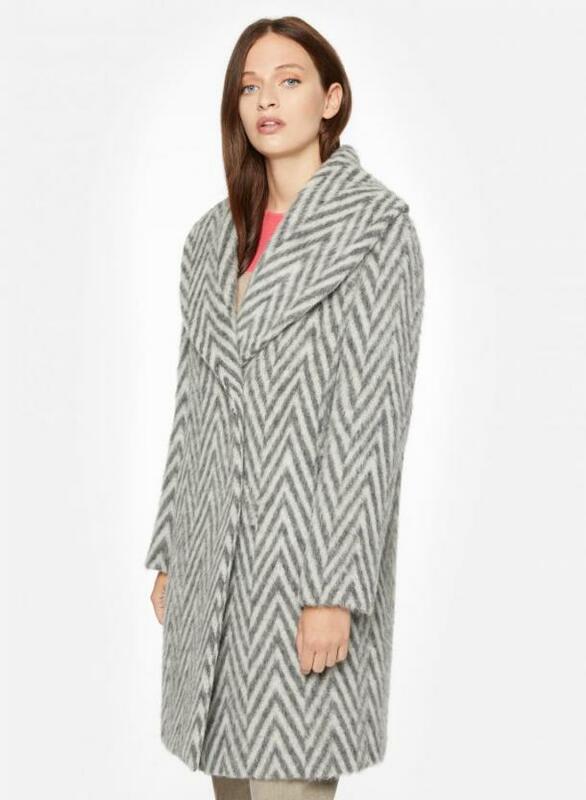 This gorgeous coat is structured in adorable warm chevron pattern that is still a light fabric and soft to the touch. It's also just a touch sparkly, which we love. The chevron pattern with fur texture ensure warmth and softness. 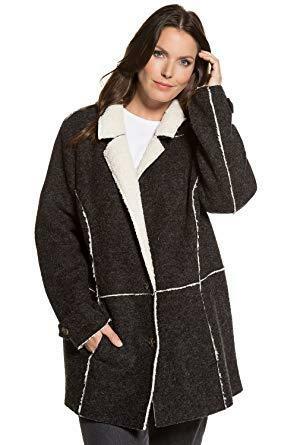 This an ultra cozy, solid black shell blended with insulating wool, which has a classic, warming feel that will make it a great every day coat all winter long. The high neck and wide hood on this style will keep it extra warm, and we love it's a hooded coat with matching fabric belt. The fox trim with pure wool fabric gives this coat with an elegant feel. Alpaca and wool are a beautiful look for winter, and the plaid motif with white eco fur on wrists and pockets is timeless. 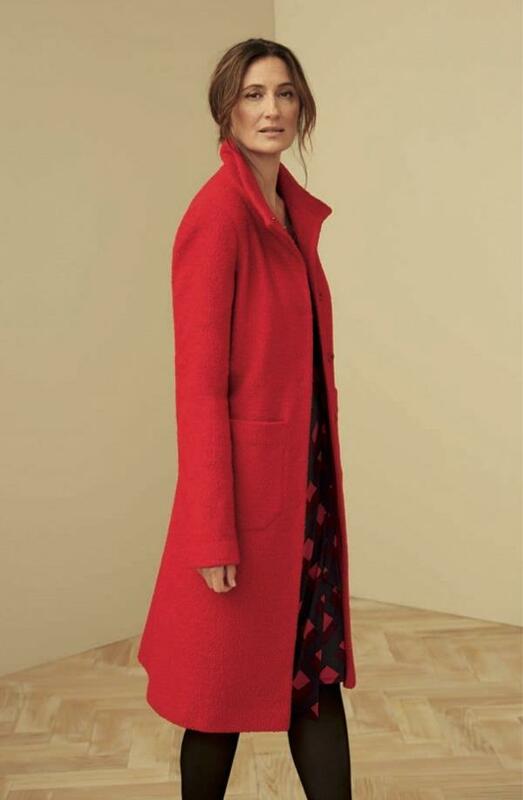 This slightly oversized coat with a gorgeous pattern is perfect for the season and will last for years. Oversized tweed wool coat that fits well over bulky sweaters is great for showing off jewelry or a beautiful pair of gloves. It's also fair trade, minimal waste and low impact by a skilled family of tailors in New York City. Super chic black wrap coat with oversized lapels mean this is an easy to wear, everyday coat. The coat is made from reclaimed wool and reclaimed acetate lining, and is made fair trade, minimal waste and low impact by a skilled family of tailors in New York City. This puffer jacket showcases contrast piping, exposed hardware, and zip front pockets with button details. 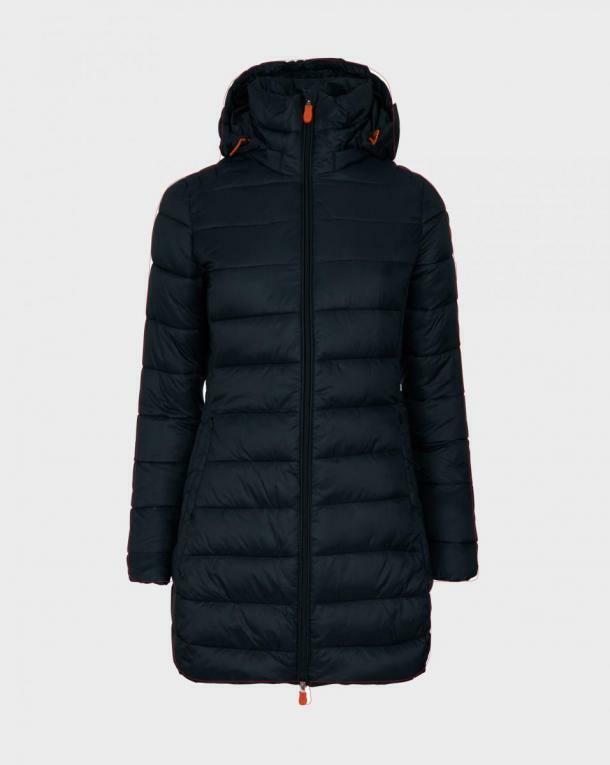 The removable inside layer features a stand collar, while the outside layer zips fully to the top of the hood. Pair with a deep-V sweater and boyfriend jeans for a look that's as flirty as it is sporty. 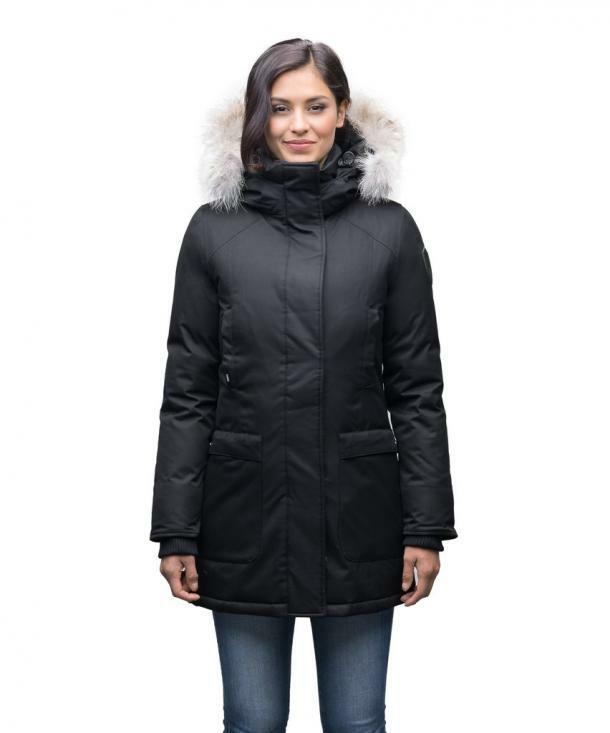 Premium Canadian Origin White Duck Down is as warm as you can get, and this one is windproof and waterproof with a breathable outer shell. Also boasts a removable coyote fur ruff. Puffy jackets don’t go out of style. Why? Because they keep you warm and always will. Add some shine and you’ve got a hot look that just needs a pair of thick leggings or pants. This jacket may look slim, but boy will it keep you warm! 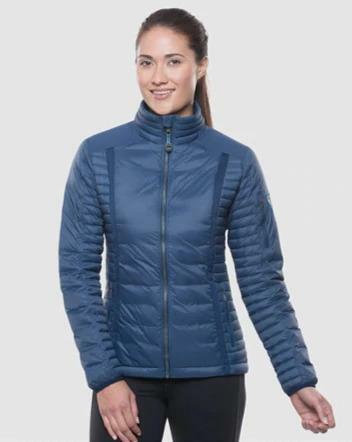 With thermal body mapping and strategically placed double layer shell fabric for added durability, this coat is great. This fitted medium weight rain jacket is a must have for the wet season. With a water resistant shell, the flatter fit features a drop hem in the back from coverage with an adjustable hood that fits your ponytail and folds into the collar when not in use. 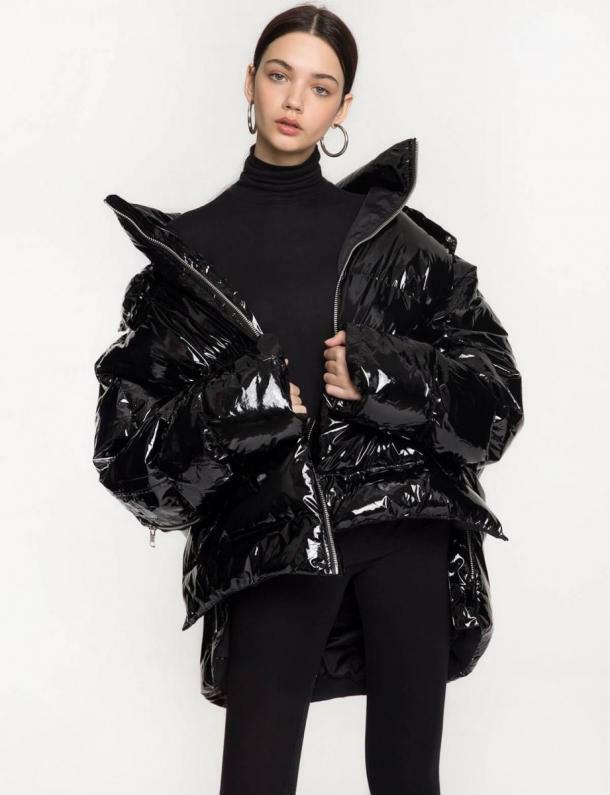 Trenches are super popular this season, and this one is a variant that is functional windproof and water resistant in a softshell fabric, with a detachable hood and can be worn to work or dressed up for a night out. Inspired by the vibrant colors of a small coastal town in Southern Maine, this Orange Cashmere Coat is made of 100 percent wool to keep you warm and cozy. 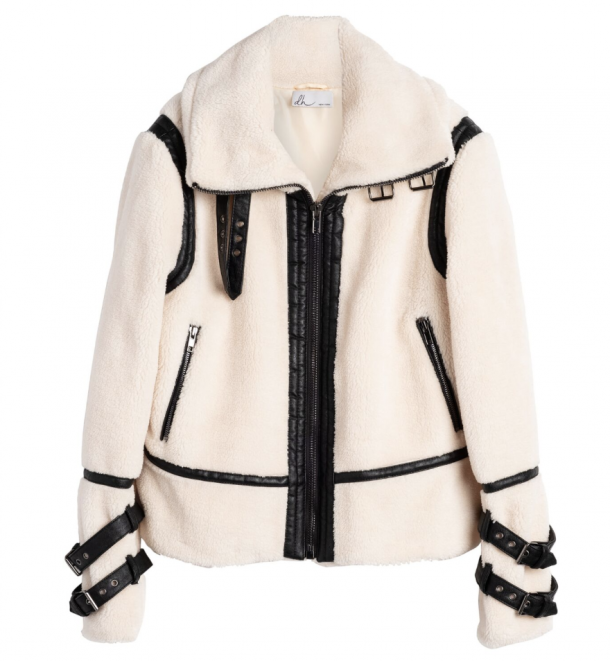 It has two flap pockets, an oversized collar, and seeming details throughout. We love how it's a pop of color even on a super gloomy day! This cute coat comes in Onyx and Pearl, and we love its slightly cropped fit and trimmed with buckles. Super fun spread collar with buckle closure​, zip front, and side welt pockets. 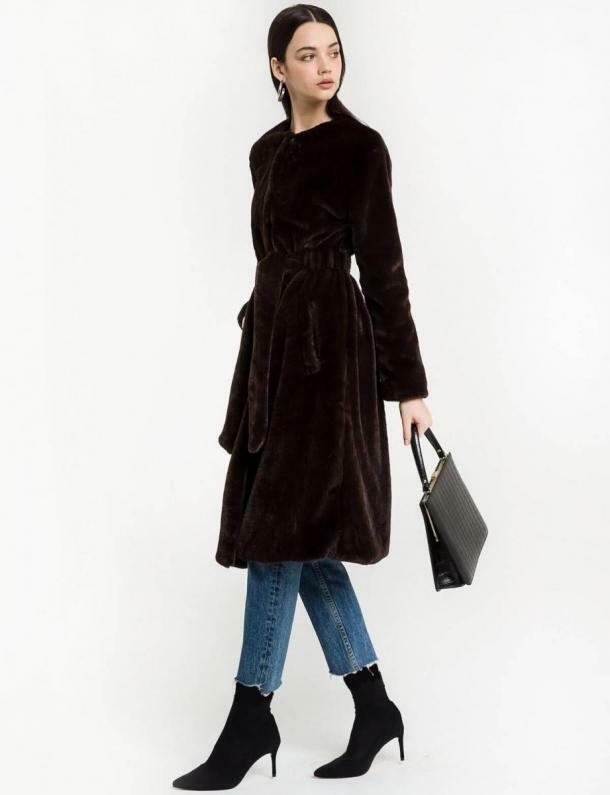 This beautiful coat is cozy and warm, with an oversized faux horn toggle button, raw edge hem and cuffs. It's also machine washable, which our inner slob really appreciates! 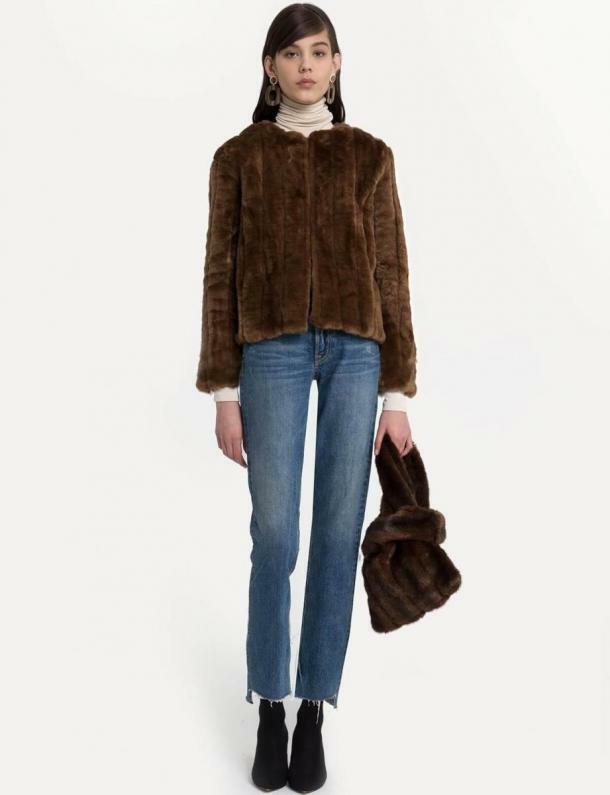 This super-soft and cozy shearling jacket, ideal for the colder weather, is lined on the inside with soft teddy fur. It has visible on the lapels and the seaming details are great. How ridiculously chic is this pink mini coat that will be perfect for date night all winter long? You'll stay warm while maintaining some style! 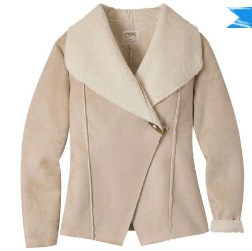 This is cold weather ready with gray shearling and fleece coat that is warm and super cute. It also has two oversized pockets and a hood, perfect for cold hands. 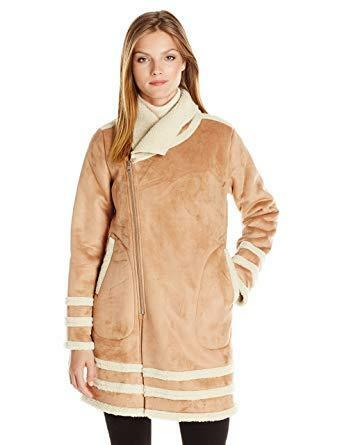 This faux suede coat is great for cold weather and will be super cute for those winter weather selfies.